Real estate industry in the Philippines is one of the fastest growing in the South-East Asian Region. And as the industry continuous to grow, the competition is becoming more stiff considering the number of players in the market wanting to get a bigger chunk of this lucrative space, and those who embrace the power of technology will highly likely to be on top because of the efficiency and productivity it brings to the table, and this will surely be the difference between success and failure of a business in this highly competitive industry. With literally hundreds of real estate management systems offering different array of benefits for property managers and developers, choosing the right system can be a tricky job because most software offer the same features with limited number of users allowed. Among hundreds of systems in the market, there's one ERP system for real estate businesses that truly stands out - Cornerstone. Cornerstone was designed and built by a dedicated team of Filipino software developers and tech specialist to cater to modern real estate businesses and offers a wide range of features packed in one secure, and easy-to-use cloud software. From general information monitoring, accounting, and even SMS, Cornerstone was carefully crafted to automate every aspect of a real estate business operation. Less has been said about the benefits and advantages of Cornerstone as it is a fairly new player to the Philippine real estate market. That said, here are some of the benefits of using Cornerstone that can't be found in other real estate management software in the market. Conventional software offers wide variety of packages with corresponding support to each package, which means a client who purchase a starter package won't be having the same support like the ones who purchased a premium package. Cornerstone has eliminated that kind of business model and goes limited packages with full support regardless of the package the client gets. This helps the client to choose which package works best for them without spending time reviewing too much information. Another thing is that the packages are highly flexible for clients with limited resources and manpower. Same applies for clients with bigger needs. Other subscription based cloud systems charge clients whenever an update is made. This is the norm of the software market where the client has no choice but to pay an additional cost which in turn, hurts the business' financial aspect. 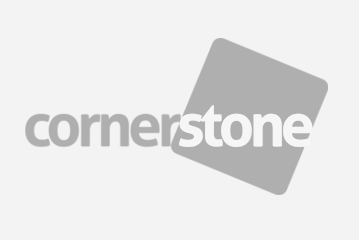 On the other side, Cornerstone's updates are part of each package with no additional charge. Each client is informed whenever there's a new update coming weeks in advance. If needed, I.T. support specialists personally visit the client for in-depth discussion. This is something that other ERP system providers don't have - Project monitoring through SMS. With SMS feature, clients are able to see updates for every project anytime and anywhere. From property specifications to accounting details and from cloud to mobile, Cornerstone enables its users to see everything whenever and wherever they are. It's very common for a software company to tell prospected clients that the product they are selling is very easy to use. However, most of them still require some technical knowledge to get a grip of the software. Cornerstone was able eliminate the need to learn even the basics of software navigation and management. Clients that are not technology savvy are still able to use the system, navigate with ease, and modify modules based on their needs. Cornerstone is the first ever real estate management system that is made in the Philippines. A system that was made by a team of software developers and tech specialists and tailor made to fill the gap in the Philippine real estate market. Since it is locally made, customer support is exceptional and Cornerstone can deploy a team of tech specialists to help clients in familiarize the system. Cornerstone isn't just the best ERP system in the Philippines, but it is also the cheapest. The system is designed to help real estate businesses to move and grow by making the packages more affordable so that even small property developers can use the software. These are just some of the most important benefits that can be found in Cornerstone alone. And with the continuous effort to update and upgrade the system, it will surely become the software in the future that will help clients to modernize, control, and grow their real estate business.